At least four people have died and multiple others injured after a luxury automobile, driven by the owner of a major hotel, crashed into a funeral procession in the south-central Vietnamese province of Binh Dinh on Thursday afternoon. 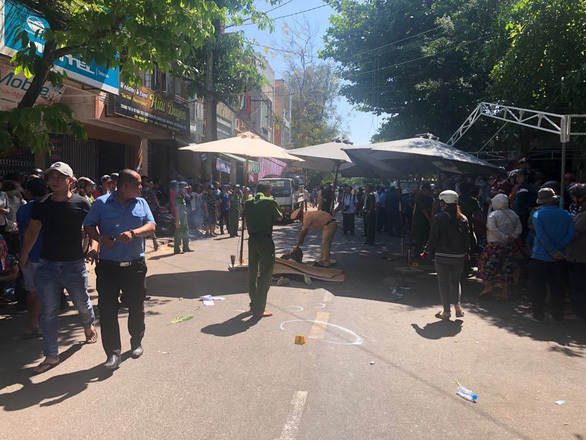 The accident happened on Nguyen Cong Tru Street in Le Hong Phong Ward in the provincial capital of Quy Nhon at around 1:00 pm, according to preliminary information. The victims were a group of pallbearers who were sitting along the side of the road. Two people were killed on the spot, while two others succumbed to their injuries at a local hospital later the same day. About six people were injured and are being treated at the infirmary. According to an eyewitness, the pallbearers were about to carry the coffin onto the hearse when the accident occurred. The car driver was one of the mourners, the witness said, adding that he just got on the automobile seconds before the crash happened. An official from the provincial police department confirmed on Friday that officers had confiscated the car, a Lexus LX570 with license plate No. 49X-6666, to assist the investigation. The car was registered in the Central Highlands province of Lam Dong and belongs to a company based in the province’s Da Lat City. The car’s inspection certificate will expire on August 27. The driver of the car was identified as Nguyen Duc Huyen, who is the owner of a big hotel in Quy Nhon. 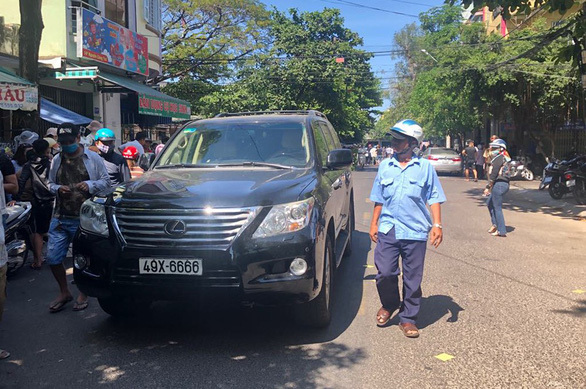 According to Cu Tuan Nghia, a traffic police official in Lam Dong, the automobile could have been sold to Huyen via an authorization contract, which explains why its registration is still in Lam Dong. In Vietnam, car owners have to register their vehicles in their permanent place of residence, according to the law. Car buyers and sellers often agree on an authorization contract in order to keep a ‘perfect’ license plate number, which is 6666 in this case, Nghia elaborated. If a sale is properly carried out via a formal transfer contract, the new owner will have to register the vehicle again in their province or city of residence when the seller has registered it in another locale, he added. "As a result, the new owner will be granted a new license plate number," Nghia said. When the owner and seller come from the same locale of residence, they will be allowed to keep the old license plate.